It’s official – Q4 has ended and Amazon had yet another record-breaking year. Here’s a look into what tipped the scale this holiday season. Rounding out an impressive 2018, Amazon reported a total Q4 revenue of $72.4 billion, a 20% increase from 2017. This left Amazon with $232.9 billion in annual revenue for 2018 — making this the first time they’ve passed the $200 billion milestone. So what contributed to Amazon’s success during the fourth quarter? As more online shoppers expect a quick product delivery, large retailers have changed their shipping methods to accommodate. This year Target offered free two-day shipping in hopes of taking a majority of holiday sales — and in response Amazon waived a minimum purchase requirement for free shipping for non-Prime members. But how much value do consumers actually place on free and fast shipping? In a study completed by Teikametrics, Amazon shoppers were asked about what’s most important when buying gifts online this holiday season. Over 24% reported free shipping, and 21% reported two-day delivery. Over 75% of the “fast-shipping” survey respondents were Millennials and Gen X’rs — a significant part of the Prime member population. This push for Prime memberships and subscriptions showed a positive result, with millions of new Prime customers joining this 2018 holiday season. Now with over 100 million members, Q4 subscription revenues increased from $3.18 billion in 2017 to $3.96 billion in 2018. The growth of 3P sellers continues to outpace 1P sellers. Third party sellers accounted for over $13.4 billion in Q4 sales (a 27% increase from 2017) and 52% of total units sold. 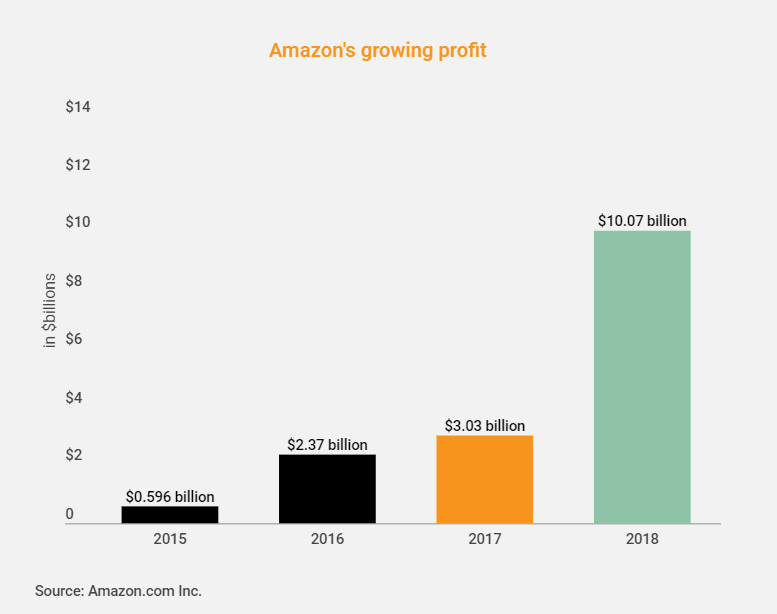 With this success, 2019 is likely to be the year that Amazon commits to shifting its priorities from 1P to 3P. Recently they’ve made more features available to third party sellers — allowing them to build out their pages to fully optimize their content and increase sales. By setting them up for greater success, benefits seem to outweigh any costs for both Amazon and 3P sellers because of high margins and room for growth on both sides. Amazon Advertising is the third largest digital advertising platform behind Google and Facebook. Much like Google, Amazon focuses on search-based advertising which fits ads seamlessly into the platform. With more traffic in Q4, Amazon’s increase in search ads was a significant contributor to high holiday sales numbers. In the quarterly sales report, “other income” increased by 95% to $3.4 billion — mostly due to their growing advertising sales. This continued success and rapid growth further established itself among competitors. Amazon’s continued ingenuity and support behind fulfillment efforts, seller growth, and advertising versatility, not only facilitates growth, but helps to bring more sellers to the platform. Amazon’s 2019 is already showing positive signs – net sales are expected to reach between $56 billion to $60 billion, which forecasts a 10-18% growth from 2018. Amazon has built a sustainable platform for brands of all sizes. Whether you’re a well established brand or launching your go to market strategy on Amazon, there’s a place for you on the platform. 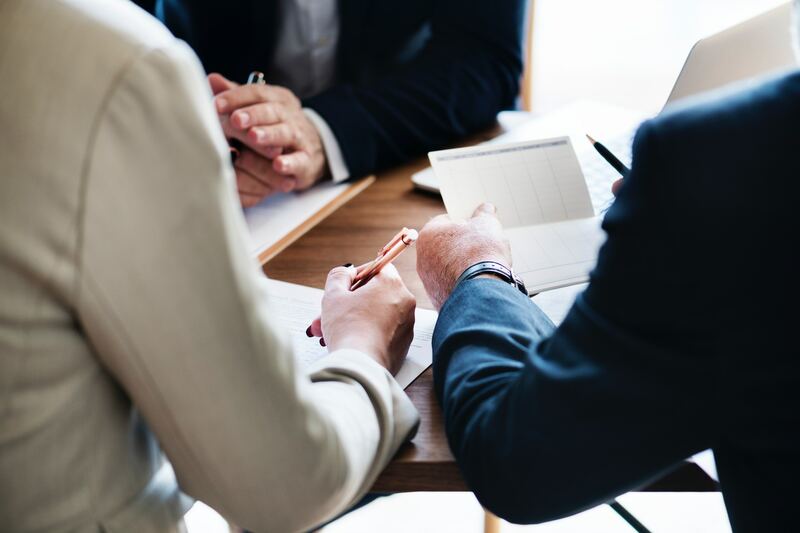 We have a team of seasoned Amazon experts ready to get you on track for success in 2019. Start the year off strong – contact us below for a customized consultation.